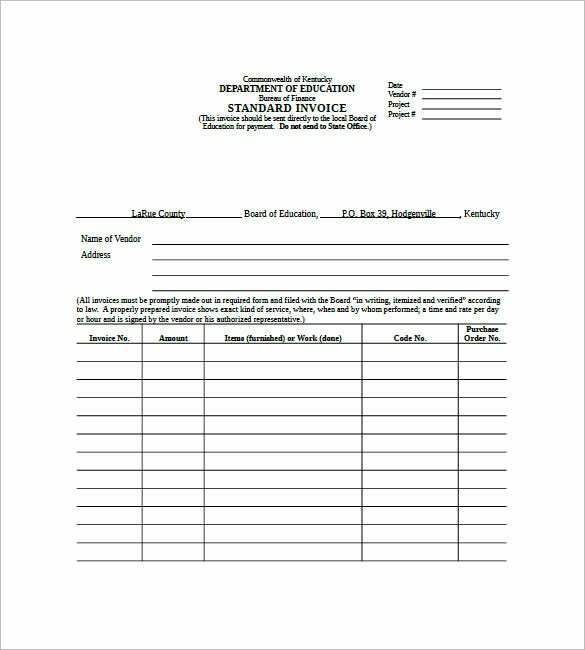 If you want to have the usual form or commercial document that can be dispensed by the seller to a buyer, you can look at General Invoice Template to search the typical kind of invoice used for every business and transactions. You can look using an internet that has wide deals for this kind of templates which you can instantly download for use and readily open in Microsoft Word or Excel preference. 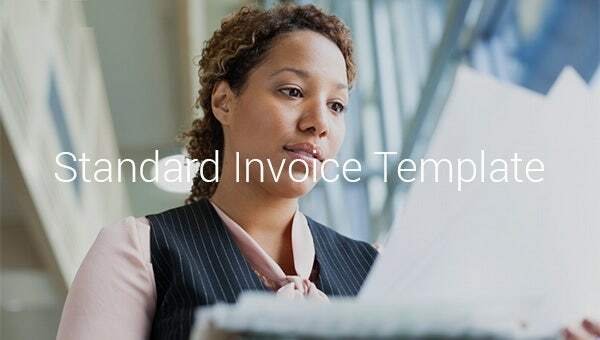 This Australian Standard invoice template begins with details on the education department which is followed by date on the vendor. Then, you have a long table on the invoice number, amount, items or work done, code & purchase order number. 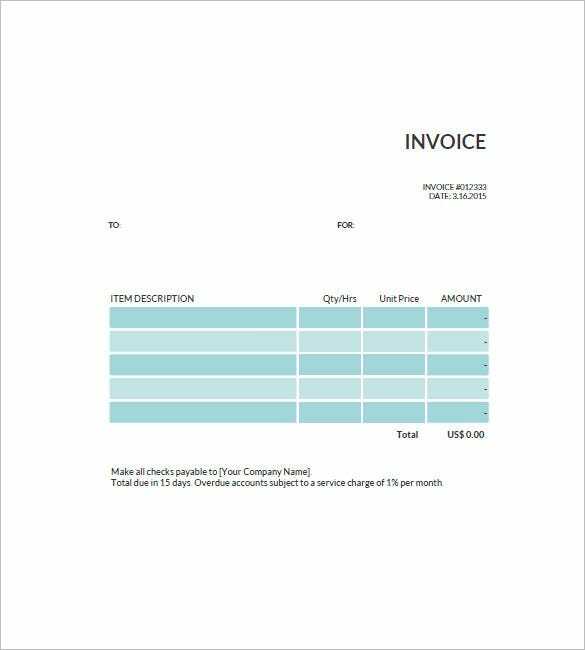 You are getting a very simple invoice template here where you have the invoice number at the top right and then you have details on the customer. It is followed by a table on the item description, quantity, unit price and amount. 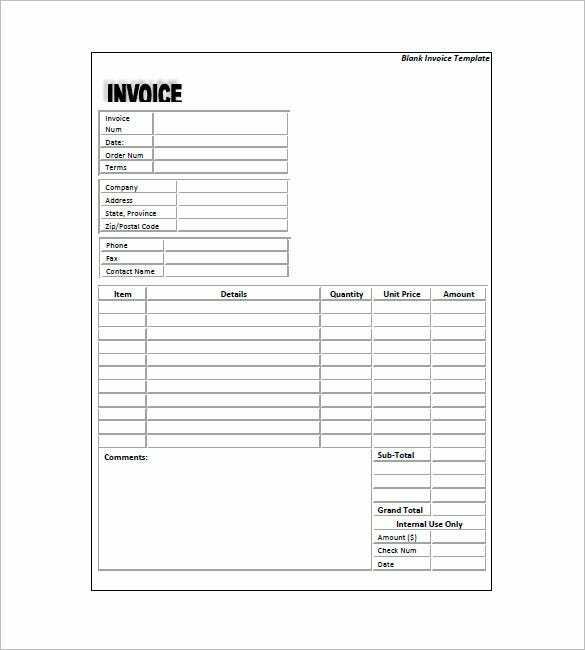 This is a very basic standard invoice template which has the name of your company and other pertinent details at the top, followed by information on customer, invoice data on the side, subject, service description & notes. 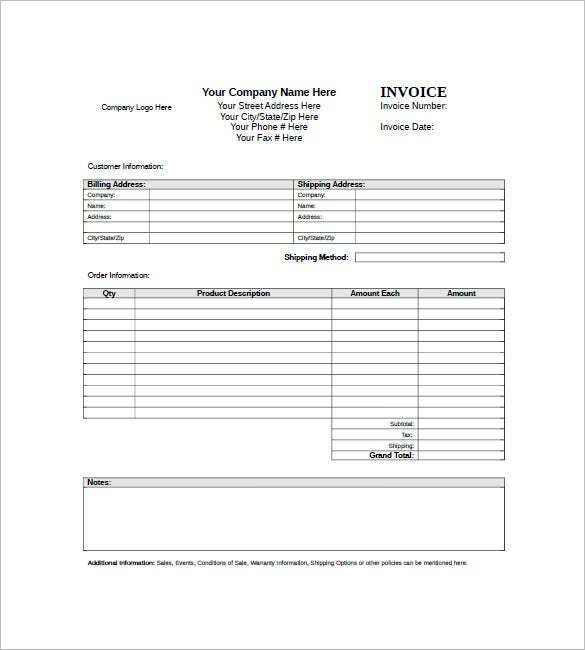 This invoice template starts with details of your company at the top, followed by the company details of the customer and shipping method. Then, you have another table on order information and the template concludes with special notes. This auto insurance standard invoice is broadly divided into 4 parts. 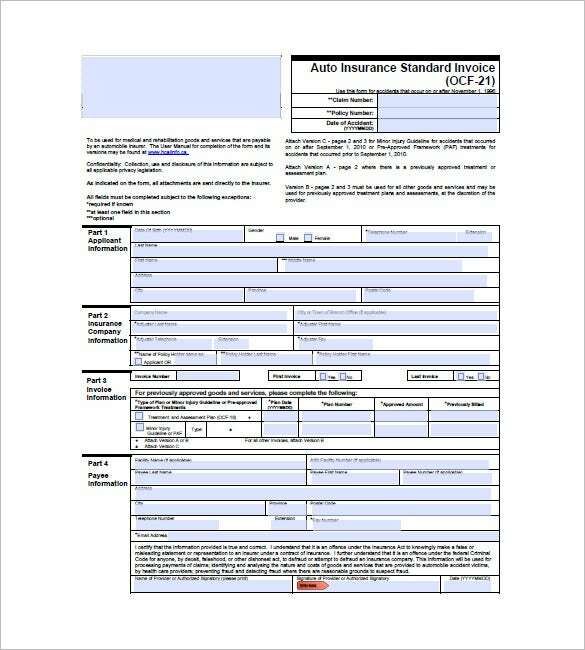 The first part is about applicant information, the second part is about the information on insurance company, the third is about invoice information & the 4th is on payee information. 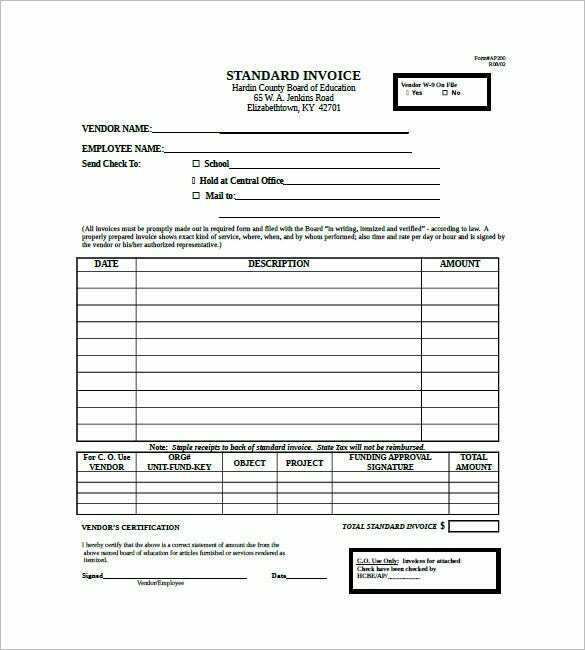 This standard invoice form proceeds with invoice details and order number followed by a table on the company details and then you have a table on item details, quantity, unit price and amount. There is a special section on comments. You can change the designs and formats of the sample you have downloaded, any specific details can also be added in the space provided in the template. 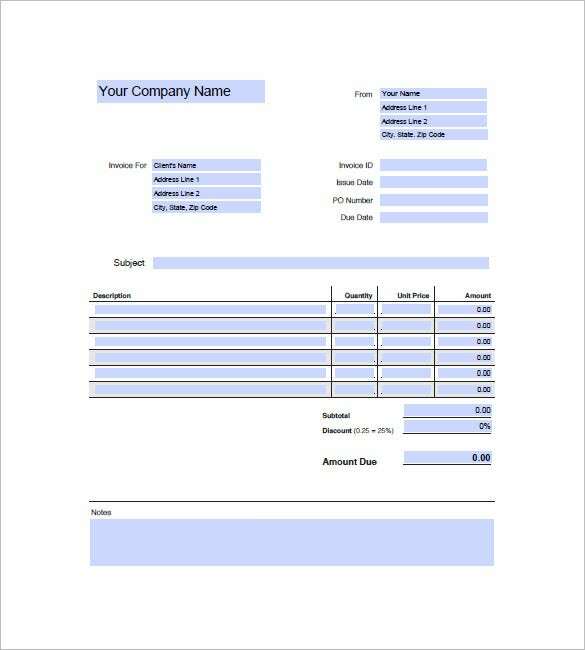 You can make it as your own Invoice Template if you can add details of your business. If you have any DMCA issues on this post, please contact us!